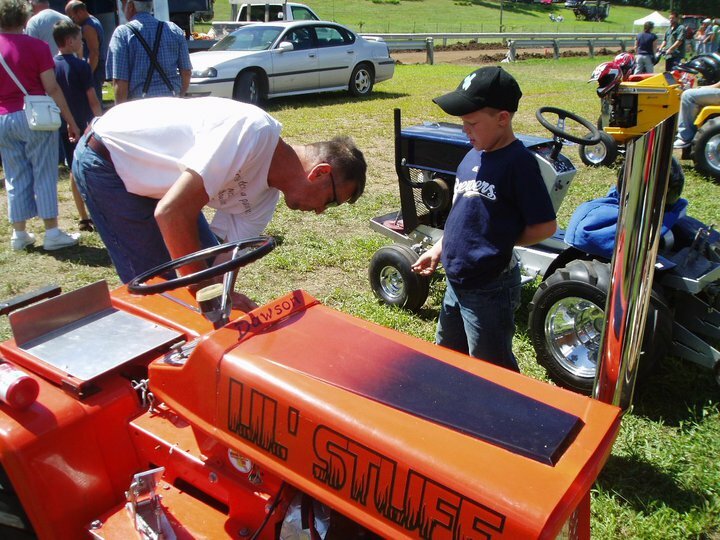 Did you know that with enough time, parts, and creativity any tractor can become a champion pulling tractor? My competitive side might make me regret sharing this information, but here are my favorite upgrades to stock tractors. 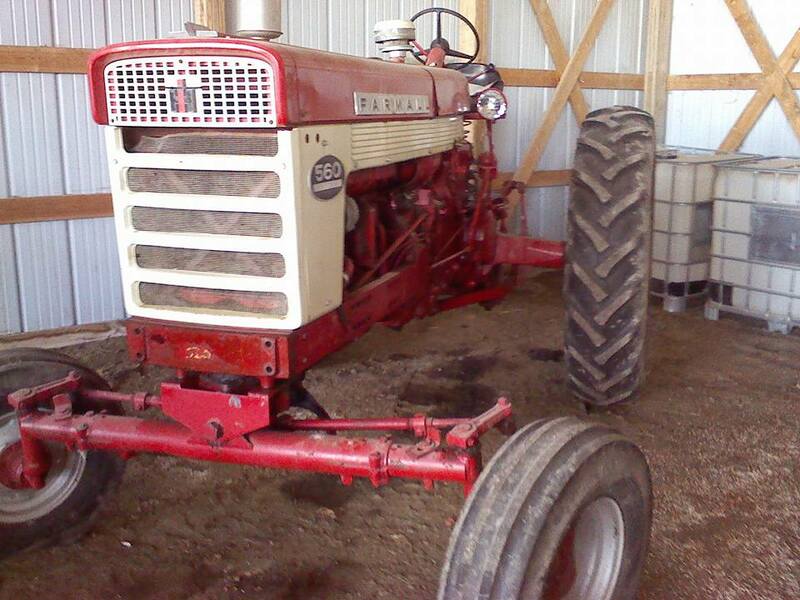 Let’s take the 560 Farmall for example. On its own, the 560 is a good but not particularly beefy tractor. A few changes, though, can make it a real powerhouse. First, lighten up the tractor. Replace the heavy-duty cast iron wheels with tin wheels. Get rid of the wide front end and replace it with a narrow front. Remove the 2 point hitch and use just the draw bar. With all the weight you save by making these switches, you can have fun with the engine. I’d start with a 301 combine engine (non-sleeved). Put in some 806 pop-up pistons with domes. They’ll fit without the sleeves and be very powerful. Carburation is a game-changer. If the club you’re pulling with doesn’t require a stock manifold, then switch to a combine manifold. If this is against your club’s rules, use the 806 manifold and carburetor on the 301 combine engine. 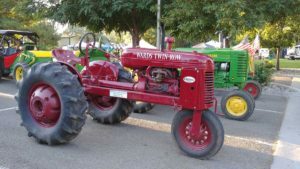 Putting in hotter plugs is a common mistake, however, the spark plug needs to be the plug that was originally engineered for the tractor (the combine engine used the same spark plugs as the tractor engine originally). Be sure to run the biggest tire that the club allows. If allowed by your club’s rules, cut tires are a big advantage over standard tires. A few more details: Put a straight pipe on. Keep the radiator from the 560. Add weight brackets on the back of this model. 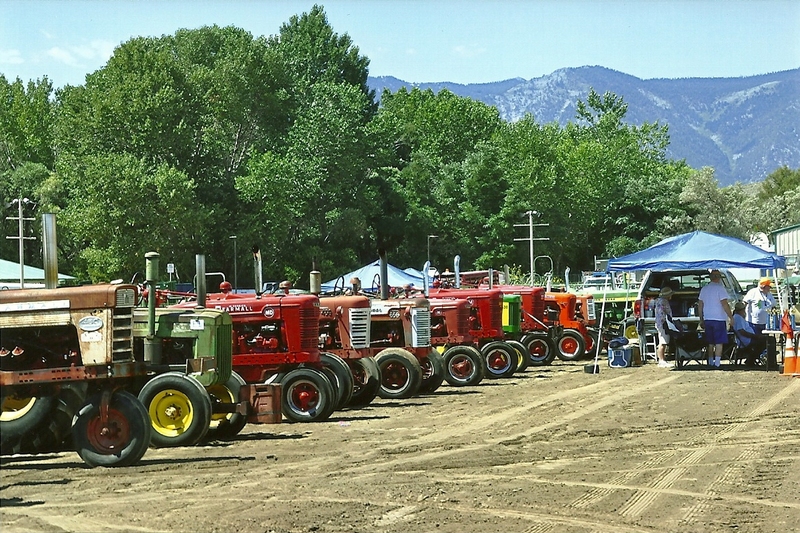 This tractor would pull in the 5500-6500 farm pulling class. As pulling tractors go, this one would be very affordable to build and run. It would be a fun project, too! If you’re still looking for a winter project this year, try this one and send us pictures. Thanks, Brandon Cooley, for the photo. 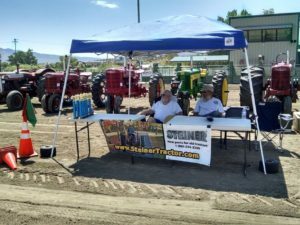 Have you purchased from Steiner Tractor Parts in the last year and received a sweet treat with your order? If you have, then you know how delicious CowTales from Goetze’s candy are. 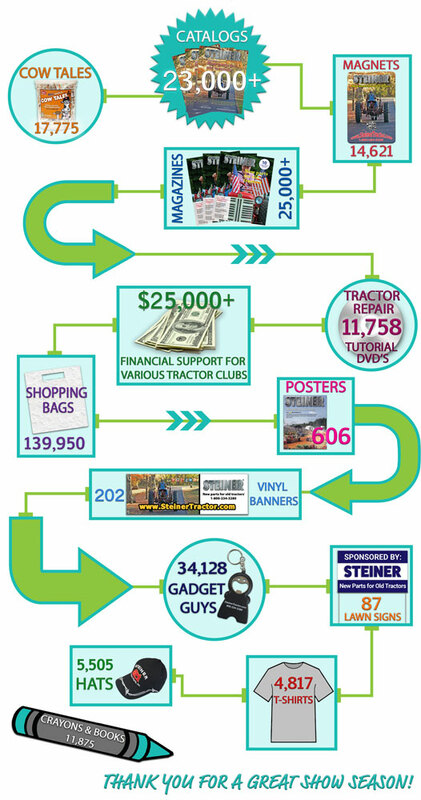 Steiner Tractor Parts includes a few pieces of the candy in our outbound packages as a sweet thank you to our customers. 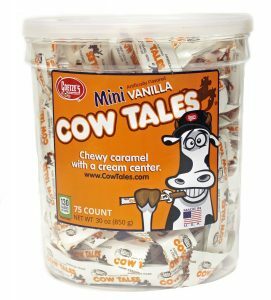 This year, Goetze’s Candy has generously offered to send 75 count tubs of CowTales in our tractor club outreach bundles. CowTales are nut free and proudly made in the USA. Goetze’s candy is a 5th generation family owned, Baltimore based candy company in operation since 1895. 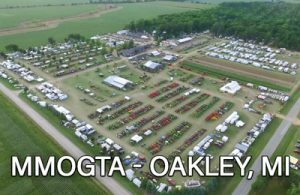 Goetze’s Candy and Steiner Tractor Parts are supporting nearly 300 tractor clubs across the US and Canada by sending out giveaways, raffle prizes and now sweet treats to enhance the show experience. 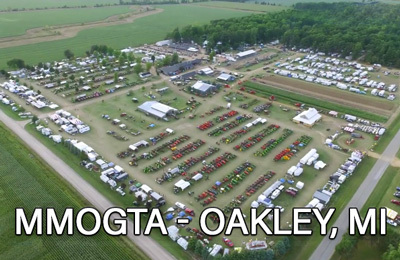 Look for a tub of CowTales at a tractor show near you this summer. Then, find out where you can Goetze some for your family! Thank you to our friends at Goetze’s candy for supporting the tractor club outreach program. 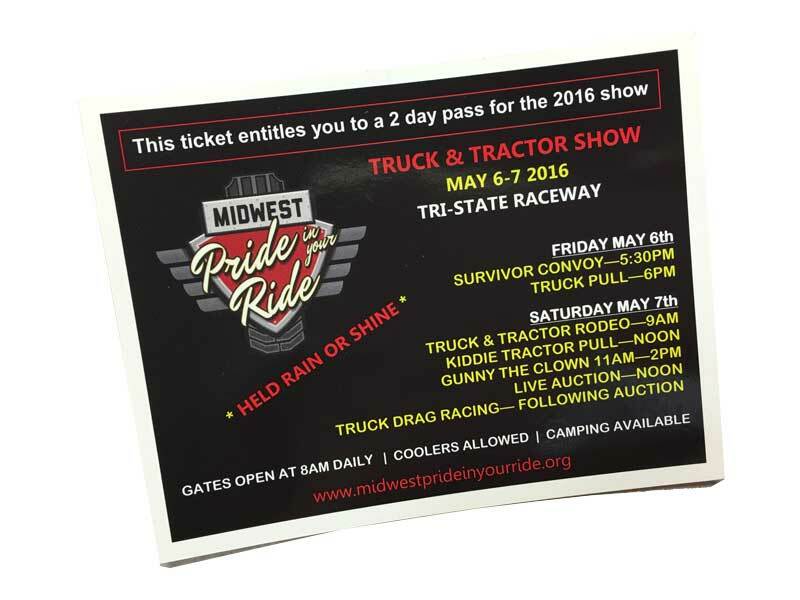 We have two (2 day) passes for the Midwest Pride in your Ride Truck and Tractor show in Earlville Iowa. If you would like these tickets be the first to ‘comment’ on this post and ask for the tickets. It is that easy, first to comment gets the two tickets! 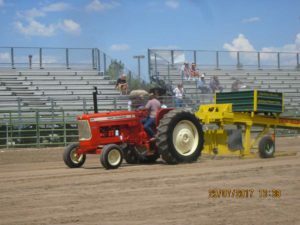 1955 Massey Harris 44-6 driven by James Kitson pulling the sled, monitored by Eugene Tucker at the Page, Arizona Annual Antique Tractor Pull and Machine Show the first weekend of October. I was excited when I was able to capture this moment in time. 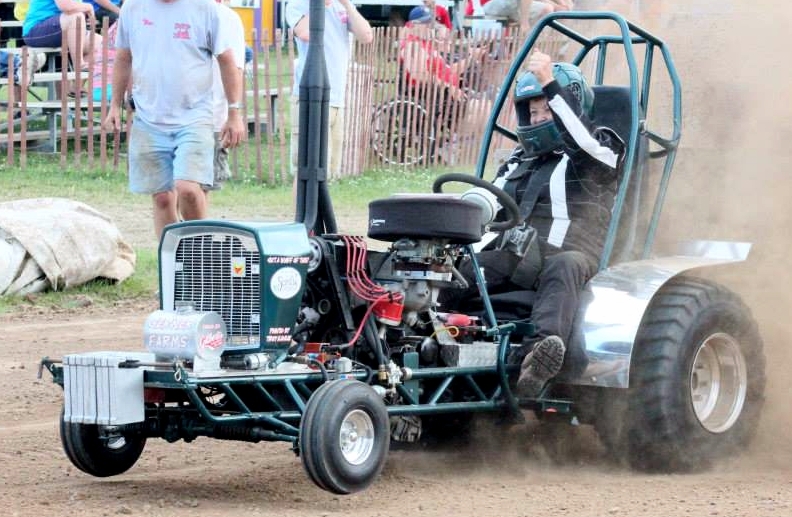 It really seems to show the enthusiasm these two have for old equipment and tractor pulling. 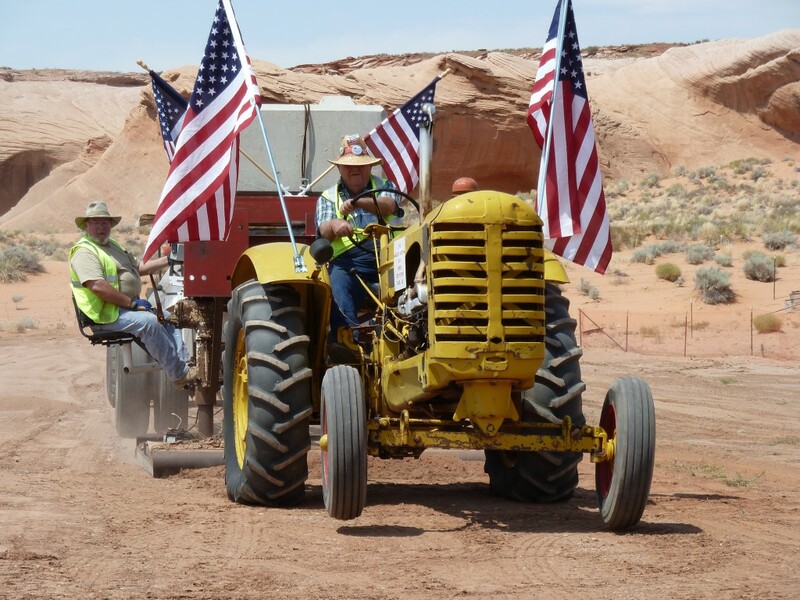 My husband Jim is driving the tractor and his friend Eugene Tucker, is on the sled that my husband designed and they built together. 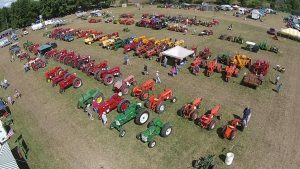 Our tractor show is the first weekend in October every year. Jim and Eugene started it 9 years ago on property owned by Big Lake Trading Post. They let us keep our tractors and other antique construction equipment there. 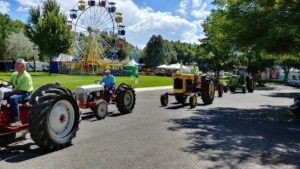 They are located at one of the main intersections coming into town and it has become quite a common occurrence to see tourists from all over the world taking photos of our tractors. I’ve even made up a brochure about them for the tourists.